Eksagon has been awarded funding by Innovate UK, the UK's innovation agency, under its Energy Catalyst competition. The award is yet another significant milestone for the company, having secured an Innovate UK Proof of Market grant, two awards from the Royal Society of Chemistry and a top 10 position in the Energy sector (Europe) at the Hello Tomorrow competition, all in 2016. During the project, Eksagon and its collaborators will investigate the use of graphene for improving the performance of fuel cells. The feasibility study, worth £300k, will be led by Eksagon in partnership with the National Graphene Institute, the national center of excellence for graphene research in the UK and the School of Chemical Engineering at the University of Manchester. Antonios Oikonomou, Eksagon's co-founder said "The team is thrilled to win this award. It will help us bring together various innovations which have so far been developed separately". He added "This award is a significant step in the organic growth of Eksagon. The project has officially kicked-off, and we are excited to be able to share ongoing developments with the community". The project will run until the end of 2018 and will lead to the development of a product prototype that will demonstrate the unique enhancement of 2D materials in a fuel cell. Eksagon is pleased to announce that is has reached a sponsorship agreement with 2D Research. 2D Research is the leading portal on graphene research and commercialization with tens of thousands of visitors per month, covering research publications and patents in the two-dimensional community with regular articles and newsletters. The agreement will see Eksagon supporting 2D Research's efforts in providing accurate, scientifically legitimate and market viable graphene commercialization stories. 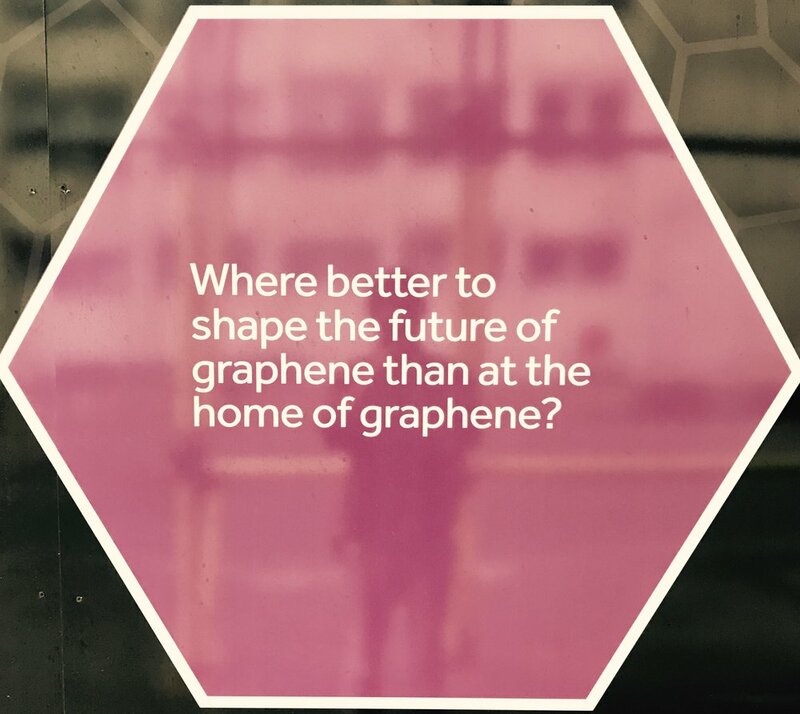 "In the current landscape of two-dimensional materials the lack of clarity in terms of graphene's value proposition brings significant barriers for industrial adoption. Eksagon business proposition is to commercialize the unique properties of graphene and as a result the sponsorship of 2D Research, which shares the same principles, is a natural milestone for us." The agreement will last for one year with the possibility to extend for a further three. Eksagon, has been selected, among more than 3,000 projects, as part of Hello Tomorrow’s Top 10 Energy early-stage science startups in Europe. Hello Tomorrow is a non-profit organization connecting science entrepreneurs with universities, accelerators, investors and corporations establishing a global network with a global impact. The conference is of the highest quality, having gathered 2500 people in 2015 with great guests including CTO of Nasa, Director of Google X, CEO of Hyperloop or CTO of IBM Watson. The Emerging Technologies Competition is an annual competition, which aims to accelerate the commercialisation of the best European technologies for the benefit of society and the economy. The competition is aimed at universities, research institutions and small companies, and welcomes technologies in healthcare & wellbeing, energy & environment, food & water, and materials. First, second and third prizes were presented in each category. 40 shortlisted entrants pitched their ideas to a panel of expert judges at Chemistry Means Business, a two-day event for the chemistry-using industry by the Royal Society of Chemistry. Over 300 people attended the event uniting SMEs, multinational organisations, investors and academic entrepreneurs across the UK and Europe. The winners were announced at an award ceremony hosted by TV personality Hugh Dennis, on 15th June as part of the same event. Applications were judged on the degree of innovation of the technology, its potential impact, and the quality of the science behind it. Eksagon will receive tailored business support from multinational partner companies, business training and media support. Winning the competition gives businesses the platform they need to make the industry aware of their technology. Since the initiative began in 2013, winners have gone on to raise a combined total of over £16 million in further funding, grown their companies and entered commercial contracts. "This is an important milestone for Eksagon and a recognition of our groundbreaking technology by a prestigious governmental body. We look forward to working closely with our partner for this award as we accelerate towards commercialization." Innovate UK grants are open to UK SME companies and are competitively allocated after an extensive peer review process. Pioneering science recently undertaken at the University of Manchester has identified unique properties of the revolutionary 2D material Graphene, which will have significant benefits for the generation and storage of energy, across a very diverse range of applications. The combination of these three remarkable and unique properties result in an ideal ‘proton exchange membrane’, which will lead to significant enhancements to an array of energy and environmental technologies, including smaller, more durable (and longer life) fuel cells and enhanced performance flow batteries. No other material or technology has these unique properties, and is thus capable of providing these benefits, which will have dramatic impacts across a wide range of new and existing markets. Funded by Dr Eli Harari (founder of SanDisk), the company initiated a collaboration with the National Graphene Institute, where it houses its experimental facilities.